Raw Alfalfa Honey is the concentrated nectar of tiny blue flowers that bloom on Alfalfa during the summer months. The nectar contains many enzymes placed into the combs by honeybees. 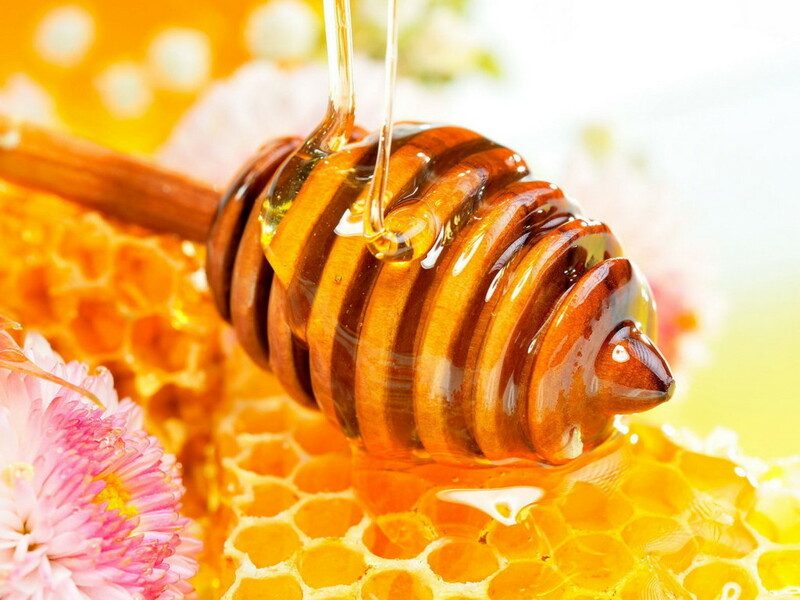 What makes honey raw is the process of extracting the honey from the combs. The honeycomb is left to sit until the wax and pollen particles naturally rise to the top; the wax is then skimmed off and what is left is the delicious nectars of raw honey. The benefits of raw honey live within the enzymes that occur naturally in the honey – thanks to the honeybees! The nutritional value of raw honey makes it one of the healthiest honey options available, but it also has some neat added benefits that aren’t as widely known. If you’re suffering from a sore throat due to allergies or a cold, raw honey is a great natural throat soother. Eating a small amount of honey before a workout helps your muscles stay nourished longer and delays fatigue, and it even gives you an extra boost of energy. Raw honey is also a great source of antioxidants. Honey not only has a full spectrum of vitamins and minerals, but it also contains the flavonoid pinocembrin which is unique to honey. Pinostrobin supports and promotes healthy enzyme activity. Visit our website for more information about how to buy, store and use Raw Alfalfa Honey, and get feedback from customers who have already given it a try.